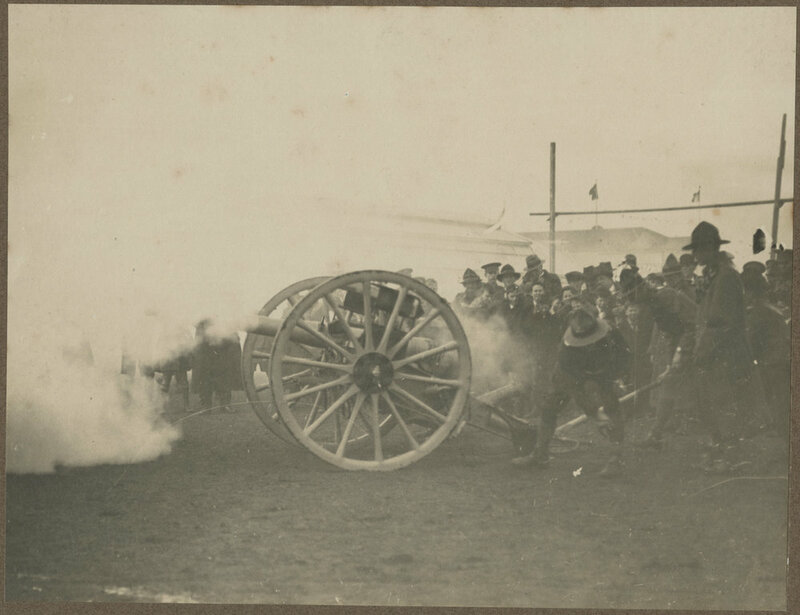 These images from the Public Photograph Collection in the Ian Matheson City Archives show scenes from the Peace Celebrations of 1919 that were held in Palmerston North. On Saturday 19th of July at 9.30 am, a 21 Gun Salute was executed under the direction of Colonel McDonald. Later that day, speeches by prominent figures were given at the A&P Showgrounds. On Monday - Children's Day - 21st of July, a peace procession was undertaken through the streets of Palmerston North to the A&P Showgrounds. 500 pigeons symbolising peace were released from the field.